The biblical theme of the last judgement, so often depicted in the medieval art of the West, is barely present in contemporary art. Yet the recently deceased English sculptor Anthony Caro (1924-2013) has created an impressive series of sculptures, semi-abstract, semi-figurative, on this very theme. 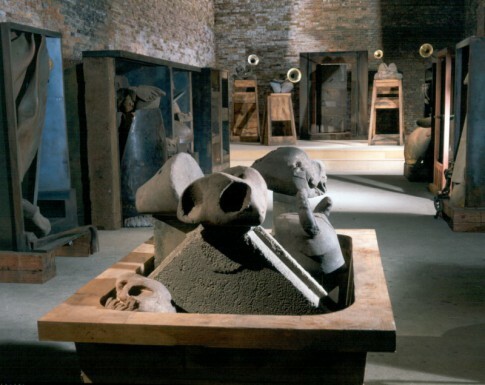 The Würth Museum of modern and contemporary art in Erstein, just south of the French city of Strasbourg, shows a remarkable collection of monumental sculptures by Anthony Caro until January 4, 2015. It is the largest exhibition of his works after the one in the Tate Modern in London in 2005. Also The Last Judgement can be seen here. This imposing and complex work was first presented at the Venice Biennial in 1999. It is composed of 28 ‘stations’, among them two ‘gates’, the Bell Tower and the Gate of Heaven, the latter including four ‘last trumpets’. An immense room is needed to contain this set of sculptures, which one enters by passing through a gate that could be the gate of judgement. One then finds oneself surrounded by sculptures or ‘stations’ that simultaneously evoke biblical references and scenes of massacre and death. One recognizes the trumpets of Revelation 8:6-9,19. It is a judgement without much hope, as humankind is left to its own violence, denounced as acts of destruction both against itself and its Creator. But just as the book of Revelation is a book of hope in spite of the ferocities described, so the sculptures by Anthony Caro are carriers of hope regardless their somber theme. In this enigmatic and majestic work I see three reasons for joy. First of all this virtually abstract work, partly made of recycled materials, makes clear that the language of art today is concerned with form as well as content. It speaks to the senses (here especially sight and touch) in order to pose questions of meaning, of life, of death and a possibility of a presence of God in the present-day world. Because whoever speaks of a last judgement, speaks of a supreme judge, a justice outside of us, a person extra nos, a God. Secondly we must consider the context of the creation of the work. Anthony Caro tells us that he made this work at the time of the massacres in Bosnia and Kosovo, during the civil war which followed the collapse of Yugoslavia in the 90’s. So many other wars, civil or not, have unfortunately broken out since then (Algeria, Iraq, Afghanistan, Syria... and today Egypt, Mali, Central Africa, Sudan, Ukraine...). But I see a sign of hope in the fact that an artist responds to these atrocities with a powerful work of art that makes reference to the Bible. It’s a protest against suffering. Here I discern a third reason for joy: the artwork alludes not only to the world and its savagery, but also to biblical texts, especially Matthew 25 and the book of Revelation. Hence the artist as well as the spectator need to reread these difficult and forgotten texts to understand the ultimate meaning of the artwork. The texts on judgement consitute a Word of condamnation as well as pardon, of judgement as well as liberation, for people today. God tells us that we are responsible for our deeds before him and before the tribunal of history. One cannot practice violence with impunity, as it is condemned by the God of the Scriptures who is a God of love and grace. 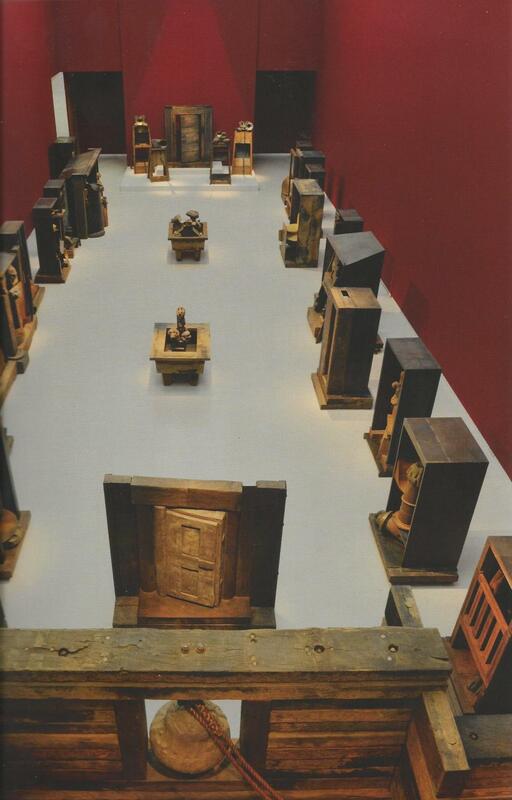 Anthony Caro: The Last Judgement, 1995-1999, ceramics, concrete, brass, steel, jarrah, ekki, oak. Sir Anthony Caro (1924- 2013) was an English sculptor who studied engineering at Christ’s College, Cambridge. He served in the Royal Navy during World War II and then returned to studying sculpture, first at Regent Street Polytechnic, London, and later with Charles Wheeler (1892-1974) at the Royal Academy Schools (1947–52). He then assisted the sculptor Henry Moore in his studio. Caro’s student sculpture was primarily figurative, but on a visit to the United States in 1959 he met the sculptor David Smith. Following his example Caro began experimenting with abstract metal sculptures made of steel beams, rods, plates, aluminum tubing and other found elements painted in bright colours. He came to public attention with a pioneering solo exhibition in London at the Whitechapel Gallery in 1963, which established his pivotal role in the development of twentieth-century international sculpture. Caro’s teaching at St Martin’s School of Art in London (1953-1981) was highly influential. His questioning approach opened up new possibilities, both formally and with regard to subject matter. Major exhibitions include retrospectives at the Museum of Modern Art, New York (1975), the Trajan Markets, Rome (1992), the Museum of Contemporary Art, Tokyo (1995), Tate Britain, London (2005) and three museums in Pas-de-Calais, France (2008) to accompany the opening of his Chapel of Light at Bourbourg (see www.youtube.com/watch?v=6DgoXLzomtM – note the ‘spiritual’ even biblical side of Caro). He received a knighthood in the Queen’s Birthday Honours in 1987. He was awarded numerous Honorary Degrees and Doctorates, Awards and Prizes. Biblical texts: Matthew 25:31-46; Revelation 6:12-17; Revelation 14:6-13. 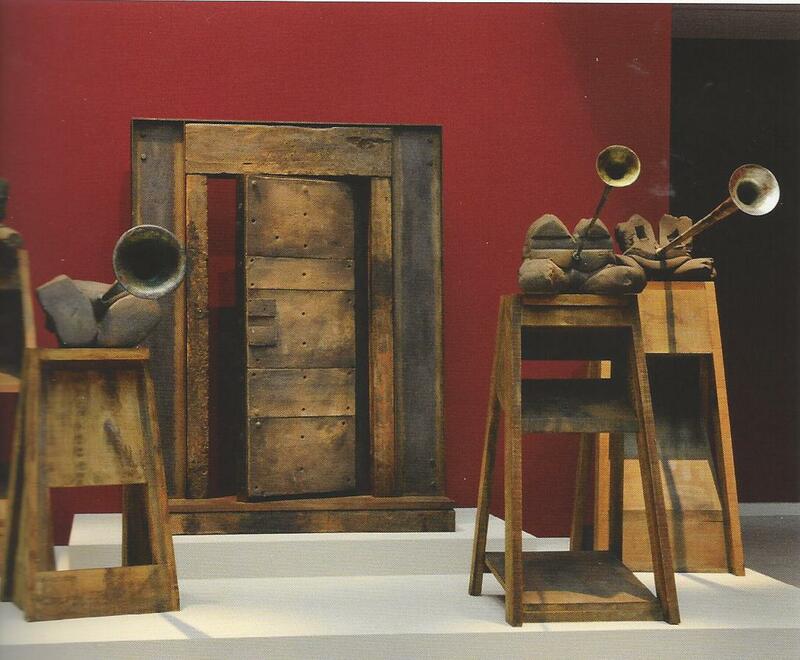 The Würth Museum of modern and contemporary art in Erstein, just south of the French city of Strasbourg, is showing a large collection of monumental sculptures by Anthony Caro until January 4, 2015. See www.musee-wurth.fr.